Concurrent with its recent acquisition of Veolia, Advanced Disposal has named its senior leadership team. 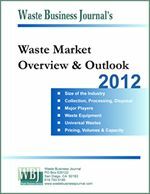 In July, Highstar Capital's subsidiary Star Atlantic Waste Holdings II announced its $1.91 billion acquisition of Veolia's US solid waste operations to be merged with its own portfolio companies Interstate Waste Services (Basking Ridge, NJ), and Advanced Disposal (Jacksonville, FL) to create a combined operation with $1.4 billion in annual revenue under the Advanced Disposal name. Charles Appleby, currently president and CEO of Advanced Disposal, will serve as chairman and CEO of the new company. Richard Burke, who was Veolia's president and CEO, will serve as president. Wally Hall, COO of Advanced, will remain in that capacity. Similarly, Steve Carn, CFO of Advanced, and Mary O'Brien, chief marketing officer at Advanced, will hold their respective positions in the new company. Finally, Scott Friedlander, general council of Interstate Waste, will serve in the same role at the new company. Advanced Disposal has its headquarters in Jacksonville but is engaged in ongoing talks with economic development officials in Milwaukee as it decides where to locate its corporate headquarters. See also: "Veolia Sells its US Waste Business to Highstar Capital for $1.9 Bil.," (www.wasteinfo.com/news/wbj20120719A.htm), July 18, 2012. Advanced Disposal Services, Inc., a regional integrated environmental services company, is pleased to announce the senior leadership team to manage and direct the consolidated companies of Advanced Disposal, Veolia ES Solid Waste ("Veolia") and Interstate Waste Services ("Interstate"). This will be effective upon the final closing of the acquisition of Veolia expected in the Fall of 2012 and the consolidation of Interstate Waste as announced on July 18. Charlie Appleby, chairman and chief executive officer of Advanced Disposal said, "We have worked diligently since the announcement of our agreement to acquire Veolia to plan for the effective combination and integration of three great companies - Veolia, Interstate and Advanced Disposal. The key drivers of success in any business are its people. The people who make it happen day in and day out - from our drivers, dispatchers, mechanics, sales and operations personnel to our management personnel at all levels. Our objective for the new Advanced Disposal is to select the best and brightest talent to guide our future success and continue the 'Service First - Safety Always' philosophy. That is an ongoing process as we move toward the combination of our companies. Consequently, I am proud to announce the senior leadership team of Advanced Disposal effective upon the closing of Veolia will be as follows." Wally Hall - Chief Operating Officer. Hall was one of the founding members of Advanced Disposal and has served as COO since inception. With more than 22 years of industry experience at all levels, he will lead the critical day-to-day operations of the company as he has for the last 12 years including regional operations, sales, brokerage and national accounts, recycling, landfill operations, maintenance, safety and compliance. Richard Burke - President. With more than 25 years of industry experience, most recently as CEO of Veolia Environmental Services North America, Burke brings invaluable perspective and experience as president and will lead areas including corporate strategy, market development, mergers and acquisitions, waste technology, risk management, procurement, human resources, training, investor relations and overall integration of the corporate cultures. Steve Carn - Chief Financial Officer. Carn joined Advanced Disposal five months after its inception and brings with him 23 years of business experience and 12 years of industry experience. Carn will remain responsible for all aspects of finance and accounting including financial reporting, lender relations and information technology. Mary O'Brien - Chief Marketing Officer. O'Brien joined Advanced Disposal three months after its inception and has more than 15 years of industry experience. O'Brien's responsibilities include the overall marketing and communications strategy of the company, government relations, and public relations as well as her continued direct oversight of all municipal marketing activities. Scott Friedlander - General Counsel. With more than 30 years of legal experience and 23 years of industry experience including public company representation, Friedlander will join Advanced Disposal as the company's general counsel, where he will be responsible for managing all legal affairs of the company including licensing, contract negotiations, litigation management, labor and employment matters, real estate and administrative and regulatory legal matters. Currently he serves as general counsel of Interstate. Gerald Allen - Vice President - Landfills. Allen joined Advanced Disposal in 2001 as general and project manager of the company's first MSW landfill, Eagle Point Landfill. With 33 years of industry experience, he has lead the company's landfill permitting, construction and operations and was promoted to vice president - landfills in 2004. He will continue to manage all landfill capital projects, compliance, permitting and construction needs and operational oversight. Randy Arnold - Senior Vice President - Operations. Arnold joined Advanced Disposal in 2007 with the acquisition of Arrow Waste and served as the company's corporate director - operations. He was recently promoted to senior vice president - operations and is responsible for all operational analysis and reviews including capital allocations, resource and strategic planning. Matthew Gunnelson - Chief Accounting Officer. Gunnelson is the current corporate controller of Veolia and will join the company as chief accounting officer. Chris Diaz - Controller & Director of Finance and Accounting. Diaz joined Advanced Disposal in 2008 and serves as the company's corporate controller. His new title reflects the increase in scope and nature of his duties and responsibilities. Bobby Green - Corporate Director - Safety. Green is the current vice president - health and safety for Interstate and will serve as the company's corporate director - safety. Dave Lavender - East Regional Vice President. With 19 years of industry experience, Lavender is the current regional vice president of Advanced Disposal's Alabama, Florida and Mississippi operations and will relocate to Charlotte, N.C. to serve as east regional vice president. The east region will include the states of Indiana, Kentucky, Massachusetts, Michigan, New Jersey, New York, North Carolina, Maryland, Ohio, Pennsylvania, South Carolina, Tennessee, West Virginia and Vermont. Jay Rooney - Midwest Regional Vice President. With 38 years of industry experience, Rooney is the current regional vice president of Veolia's Illinois, Michigan, Missouri and Wisconsin operations and will remain in Chicago to serve as Midwest regional vice president. The Midwest region will include the states of Illinois, Minnesota, Missouri and Wisconsin. Charlie Gray - South Regional Vice President. With 18 years of industry experience, Gray is the current regional vice president of Advanced Disposal's Georgia, North Carolina and South Carolina operations and will remain in Atlanta to serve as the south regional vice president. The south region will include the states of Alabama, Florida, Georgia, Mississippi and Freeport, Bahamas. Advanced Disposal currently is the fourth largest privately-owned environmental services company in the United States providing integrated, non-hazardous solid waste collection, transfer, recycling and disposal services in the Southeastern United States. 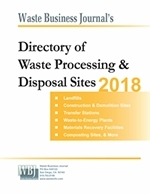 Advanced Disposal currently owns and operates commercial, industrial, and residential solid waste collection operations, municipal solid waste landfills, transfer stations, and recycling facilities. Advanced Disposal is dedicated to preserving the environment and ensuring that all operations are conducted in a manner that follows all local, state, and federal laws in regards to environmental protection. Advanced Disposal is headquartered in Jacksonville, Fla. and has operations in Alabama, Florida, Georgia, Mississippi, North Carolina and South Carolina. For more information regarding Advanced Disposal, please visit www.AdvancedDisposal.com or on Facebook at www.facebook.com/AdvancedDisposal.